Nora Fatehi gets football training under Ranveer Singh's coach Govi Tyler! 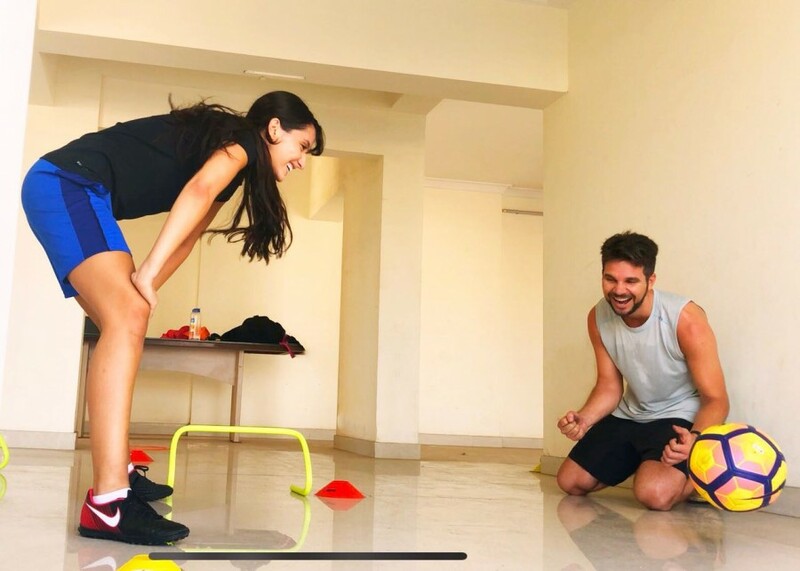 Nora is undergoing training and practice sessions for football under celebrity coach - Govi Tyler, who is known to train the All-star football club team that includes Ranbir Kapoor, Abhishek Bachchan etc. Govi is also the football trainer of Bollywood favourite male star, Ranveer Singh. Nora has been learning the tricks and tips of this game with great passion and determination. She's an avid fitness freak and loves taking up newer ways to keep herself fit.